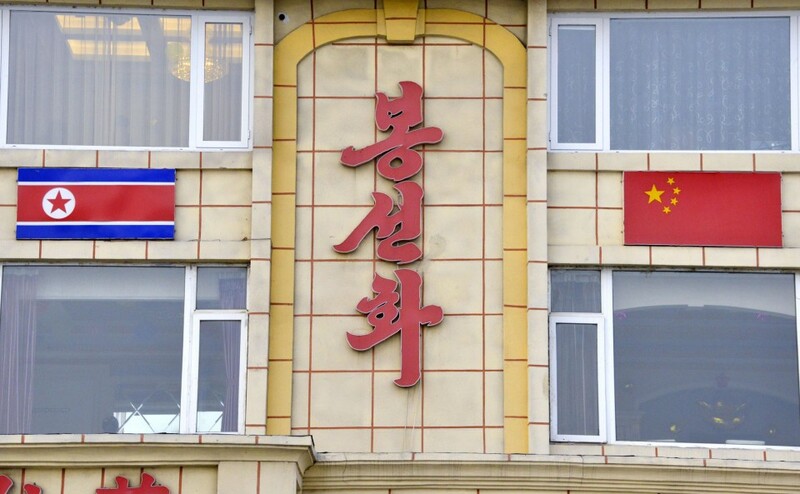 The Chinese city of Dandong, which borders North Korea, has been the location of several North Korean businesses, but workers are gradually returning to their home country. The shift comes after Beijing ordered China-based North Korean operations to shut down by Jan. 9, 2018, in compliance with U.N. sanctions adopted the previous September over Pyongyang's nuclear and missile programs. Here is a glimpse into a changing Dandong, where businesses are locked up and people are filing through customs back to North Korea in the final days before the deadline. North Korean workers walk near a customs office in the Dandong snow. "We are being bullied by America," a North Korean restaurant employee in her 20s said of the sanctions. 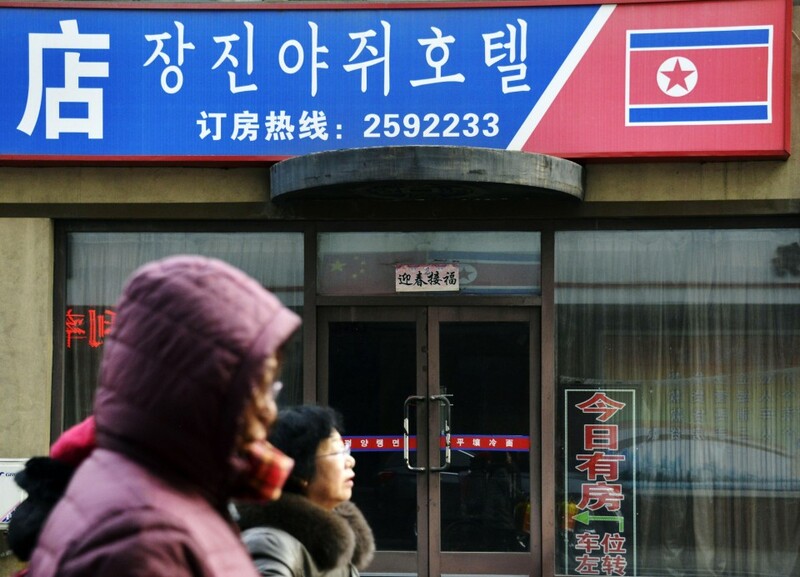 The North Korean and Chinese national flags could be seen hanging outside a restaurant on Jan. 7. 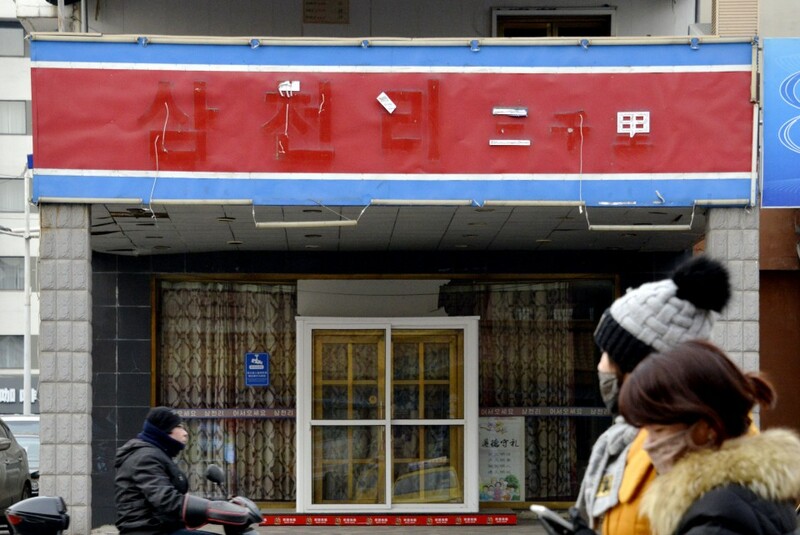 The shadow of a sign for a North Korean restaurant that has suspended business. People pass by a hotel, whose entrance is locked. 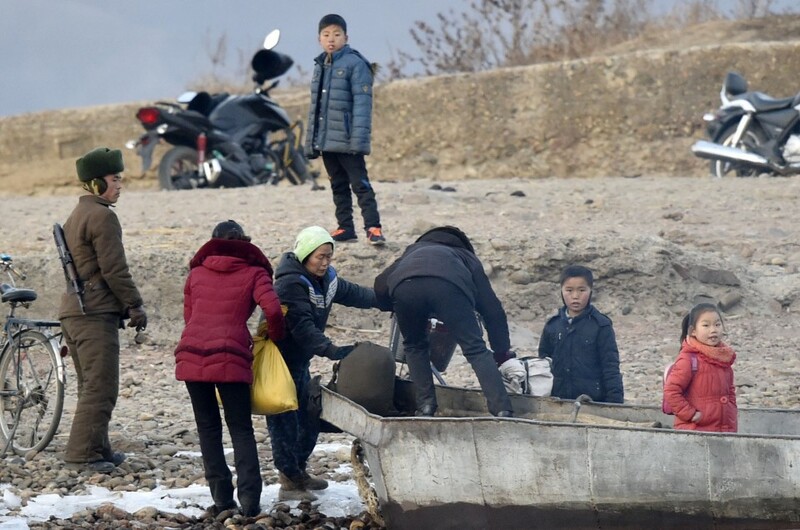 Children watch from the North Korean shore. 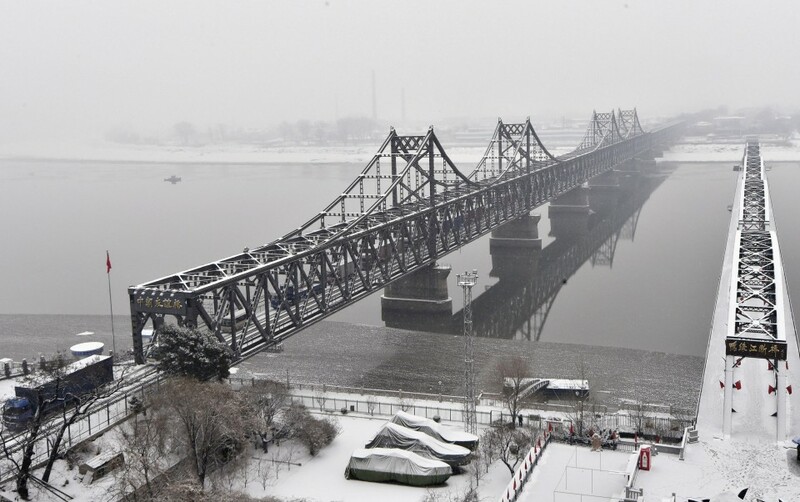 The Sino-Korean Friendship Bridge, which connects Dandong with Sinuiju, North Korea.